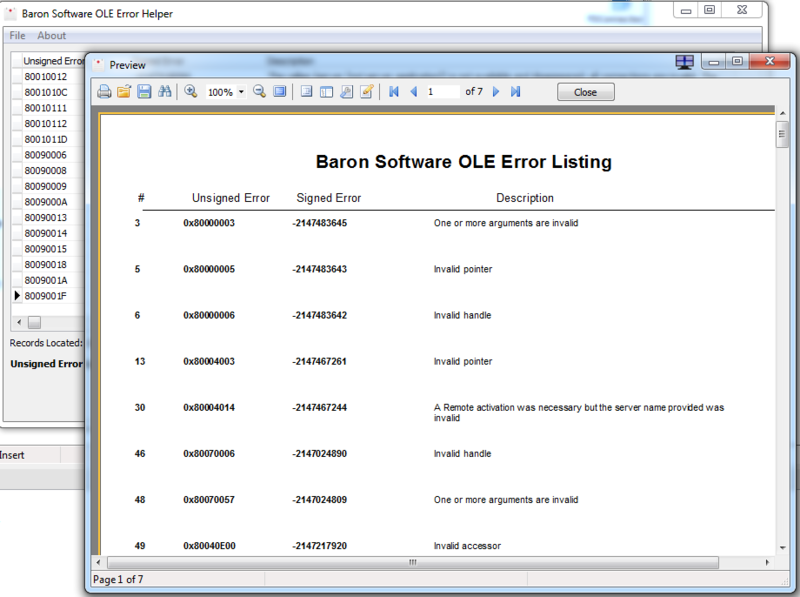 As demonstrated each OLE Error is displayed with the error number and a description on what occurred. 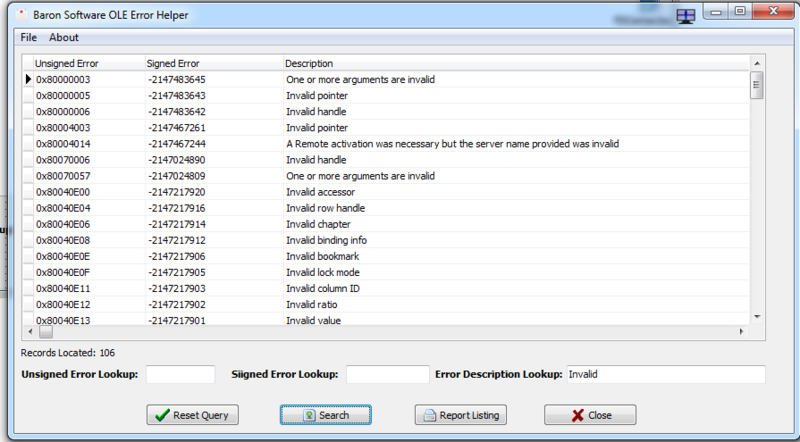 Simple search capability to do a quick look up as well as reducing the subset size. 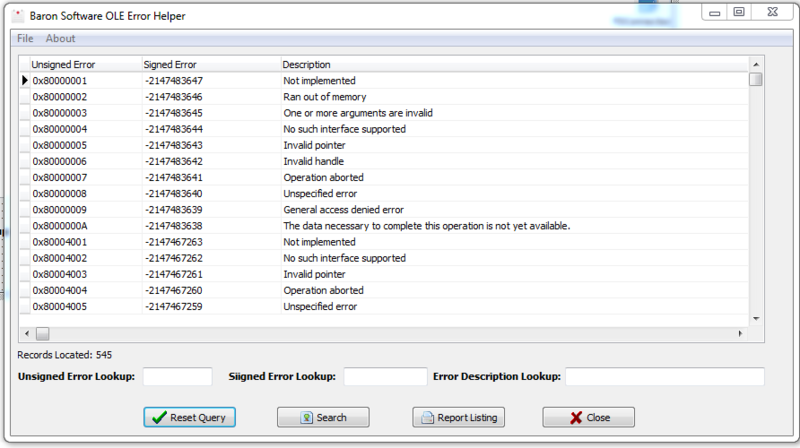 A quick report that provides what is currently being viewed in the application window.